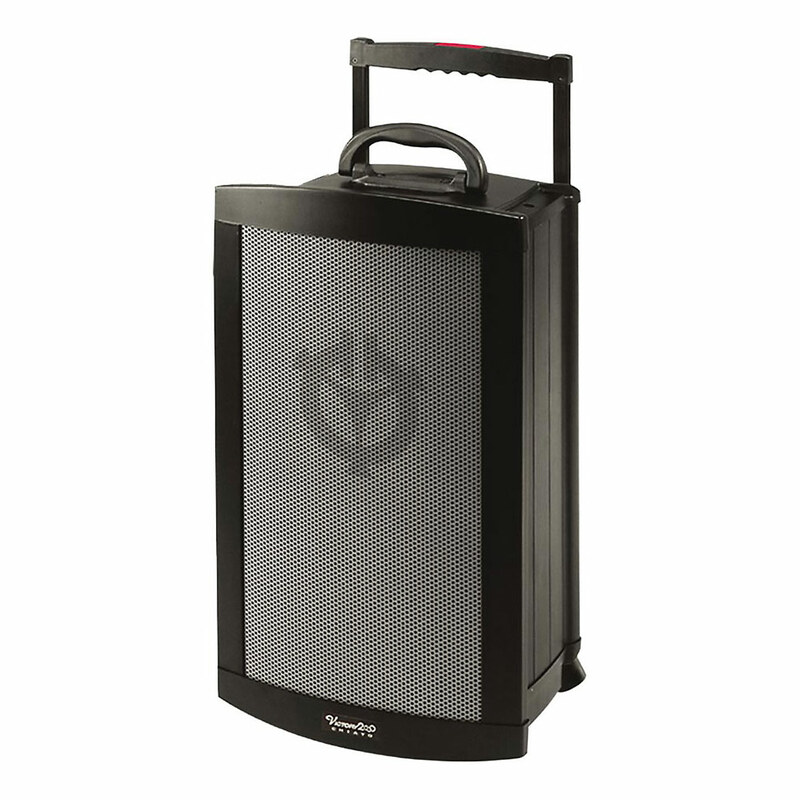 The flagship of this portable PA range, the Victory 2000 provides the highest power output, capable of high quality, controlled coverage for up to 1000m². This 75W speaker version includes all of the standard features (built-in speaker, amplifier, wireless microphone receiver, rechargeable battery), together with CD or cassette recorder as standard. It is also fitted with integrated wheels and retractable handle for ease of transportation.